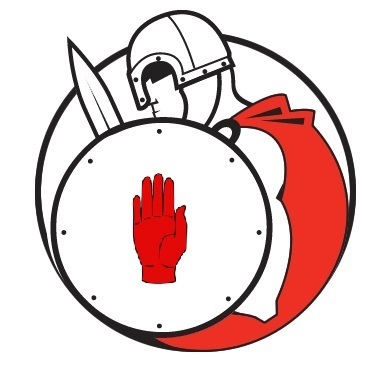 The name ‘Ulidia’ is Latin for ‘Uladh’ which was the ancient title of Ulster. At different periods of our early history the kings had in their service bodies of militia, who underwent a yearly course of training, and who were at call like a standing army whenever the monarch required them. The most celebrated of these were the "Red Branch Knights" of Ulster. Every year during the summer months, various companies of the Knights came to Emain near Armagh under their several commanders, to be drilled and trained in military science and feats of arms. The greatest Red Branch commander was Cuculainn, the Hound of Ulster, a demigod, the mightiest of the heroes. So Ulidia Taekwondo looks back in time to call upon the fighting spirit of the Red Branch Knights to be employed in this equally ancient Korean martial art and the elite Korean forces known as the Hwarang. 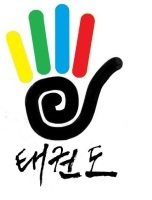 So we take the Red Hand of Ulster to cleverly form our logo using the belt colours within Taekwondo. One of the oldest clubs operating in Northern Ireland, which opened in 1988 in the Valley Leisure Centre, Newtownabbey. This club has a extremely prestigious history of producing high quality black belts. This club opened in 2001 in the Lough Moss Centre, Carryduff. 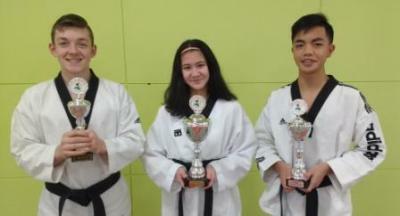 Again this club also has a repetition of of producing high quality black belts. 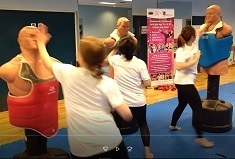 This club opened in September 2018 in the Glenmoren Activity Centre, Lisburn. 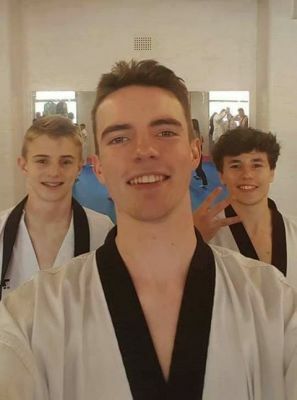 The Valley and Carryduff quality sports clubs provide environments for our participants to enjoy positive sporting experiences so young athletes can be supported to realise their full potential in Taekwondo. Our clubs are operated by enthusiastic and dedicated volunteers who perform a range of coaching, management and administration roles as well as many others. 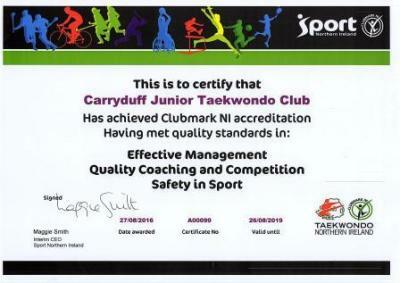 The Clubmark NI Programme and the associated endorsed club accreditation schemes provide a consistent mark of quality which allows parents/carers and participants alike to identify clubs who have achieved minimum standards of quality in the areas of ‘Effective Management’, ‘Quality Coaching and Competition’ and ‘Safety in Sport’. The core generic criteria included within the Clubmark NI endorsed accreditation scheme ensures that all clubs accredited by these schemes have demonstrated that they meet the identified minimum standards of quality. 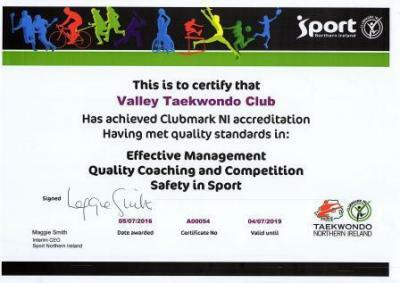 The targeted outcome from the Clubmark NI Programme is being able to identify and recognise where children and young people can access ‘quality sporting experiences, delivered in safe environments by effectively managed sports clubs’.